Montana: Home of 1,050,493 folks and the absolutely stunning Glacier National Park. But Glacier’s beauty belies some of the problems facing Montanans. About 140,000 Big Sky residents live in poverty—that’s 13.3% of the population. Wealthy outsiders from the coasts are moving into picturesque towns like Whitefish and Missoula, driving up housing costs. Median household income is nearly $10,000 less per year than that of the U.S. as a whole. It’s easy to see why some Montanans might feel like they need to turn to a predatory payday loan. Average Credit Card Debt and Median Household Income in Montana vs. the U.S.
Payday loan borrowers can quickly find themselves in a cycle of debt. For a payday loan, the borrower gives the lender a post-dated check for the amount of the loan and a fee in exchange for the cash. The borrower then either pays back the loan (including the fee) within 14 days, the payday check is cashed by the lender, or the borrower asks to roll over the loan for another 2 weeks and pays yet another fee. 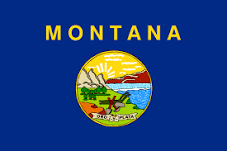 Payday loans are technically legal in Montana, but lenders can only charge an APR of up to 36%. Because they’re unable to charge outrageous interest rates, predatory lenders have effectively ceased to operate in the state. Montana explicitly legalized payday lending in 1999, allowing fees that eclipsed those that were legal in any other state. From then on, it was open season on struggling Montanans, with half of all payday loans in the state going to people who took out thirteen or more loans per year. Until 2010, Montana was a bonanza for payday lenders—interest rates for these predatory loans regularly hit 400%. The industry employed anywhere from 400 to 600 people and took in tens of millions of dollars in fees. Finally, Montanans said “No more.” The State Legislature passed House Bill 118, which reinstated the state’s usury laws and capped interest rates at 36%. In the three years after the reinstatement of the usury statutes, predatory online lenders saw a massive influx of business. In the absence of physical stores to head to, Big Sky residents in need of quick cash simply went online. But the Attorney General determined that these online lenders were also subject to Montana’s regulations on interest rates. The number of complaints made about these lenders to Montana’s Attorney General skyrocketed from just one in 2011 to 101 in 2013. While a payday loan relies on your bank account information or a post-dated check given to the lender, a title loan uses your car for collateral. Title loans also tend to be for much larger amounts of cash, with a longer minimum length of 30 days. With bigger numbers also comes much bigger risk. Title loans are actually more dangerous than payday loans, and can be far more costly. Not only do you have to pay back a larger principal amount, but in some cases the lender is also allowed to repossess your vehicle. Thankfully, title loans are no longer legal in Montana. This doesn’t necessarily mean that title loans are completely unavailable to Montanans, though. The state shares a border with two others who do allow some form of title lending: Idaho and South Dakota. On the plus side, South Dakota’s title lending falls under its short-term loan regulations, which cap interest rates at 36%. The bad old days of predatory lending in Montana, with obscene interest rates that dragged vulnerable residents into debt holes, are largely over. No longer can a company repossess your car while charging you interest rates over 400%, or extend yet another high-interest loan to you in order to help cover the payments on a previous loan, all while collecting exorbitant fees to line the pockets of already wealthy owners. 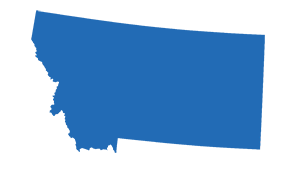 If you’ve encountered a lender you believe isn’t following the law, the State of Montana can help. Complaints about online lenders engaging in predatory lending practices can be made to the state’s Division of Banking and Financial Institutions. As always, documentation is key when making a complaint. Keep records of all your interactions with these lenders, including e-mails and notes on phone calls. You know payday and title loans in Montana are a problem. But what about at the city level?